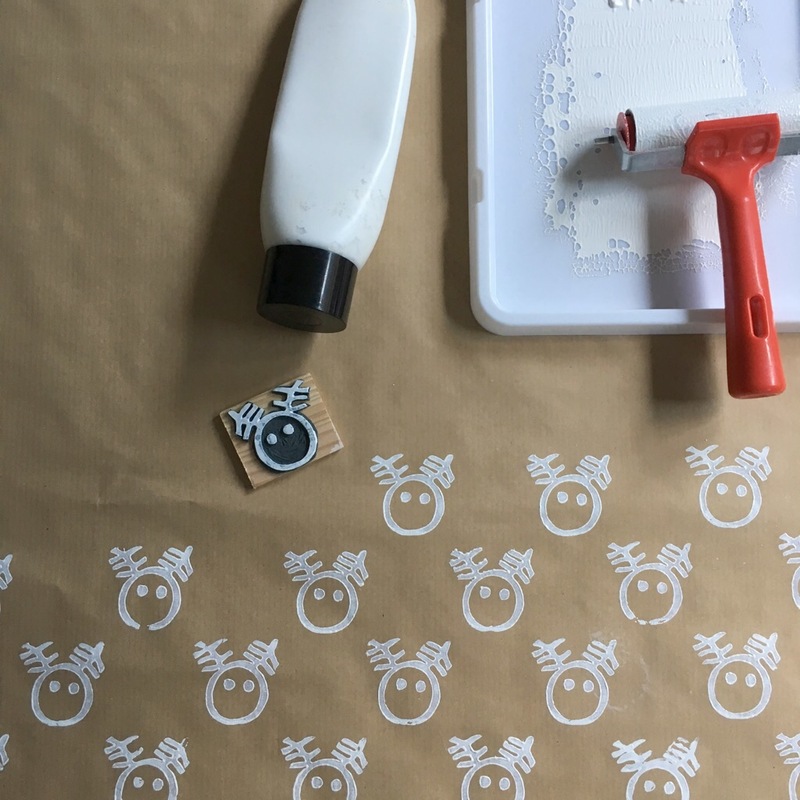 Last year we enjoyed printing Christmas & thank you cards with my eldest daughter’s designs, so this year we had a go at printing wrapping paper. This was a great project that we could all get involved with. 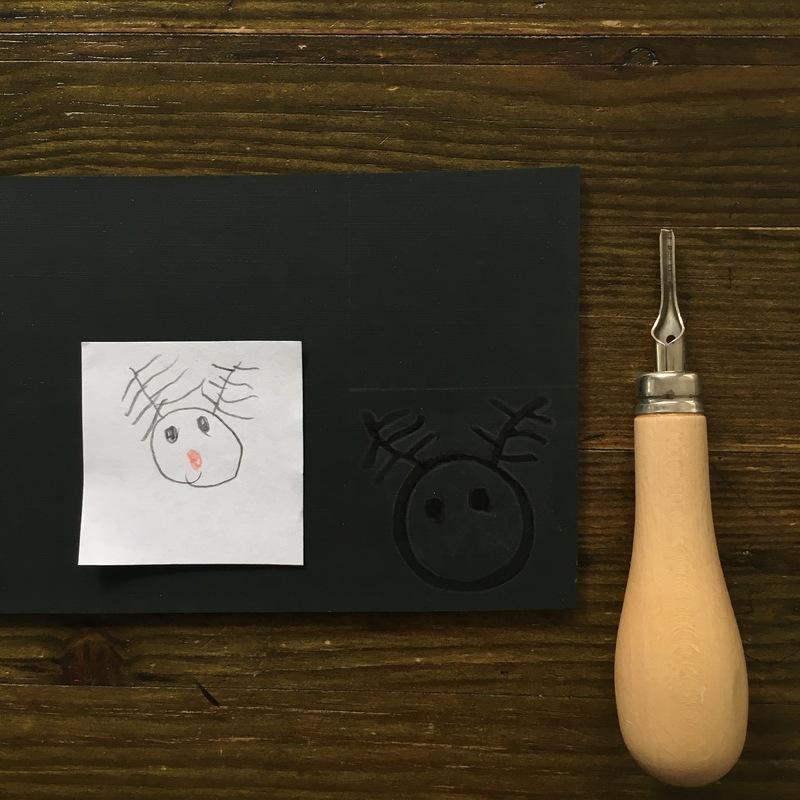 My four year old did the design this time; a sweet reindeer drawing that made a great print. 1. Draw out a design. 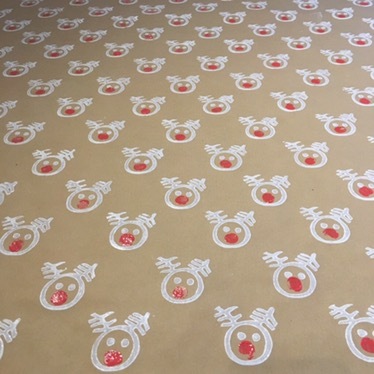 Using a thick marker pen on the lino. 2. Cut out the areas around the marked section. Trimming off excess lino. 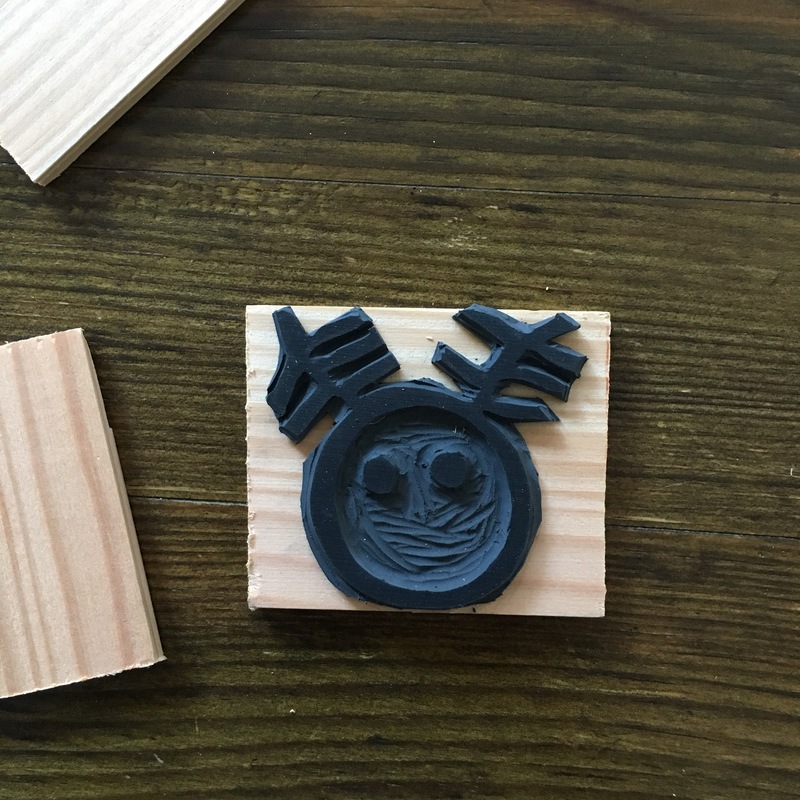 Glue to wooden block. 3. 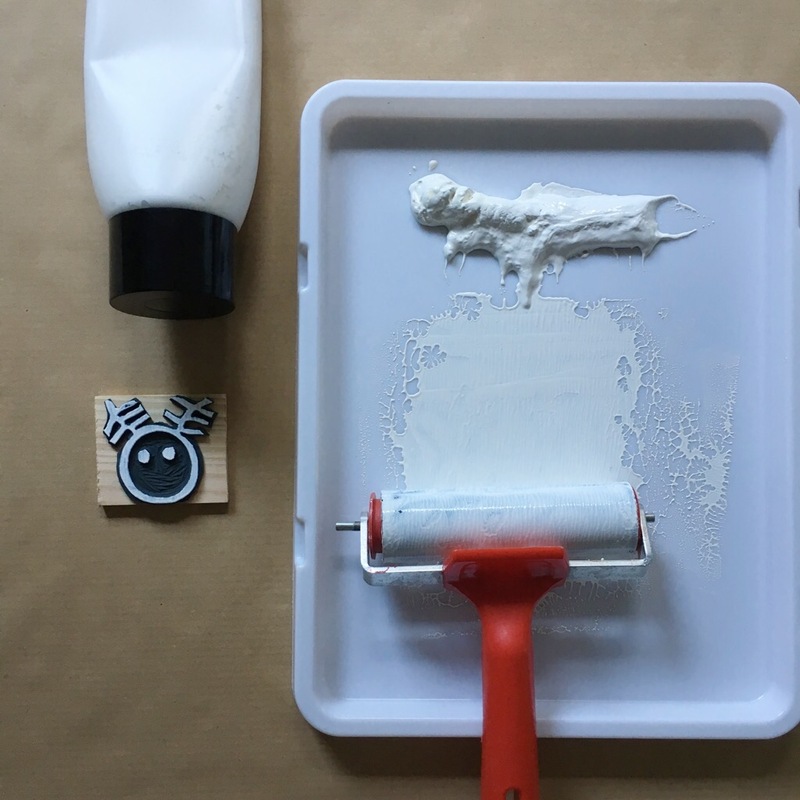 Roll out some ink and apply a very thin layer to the lino. 4. Do some test prints for positioning and ink density. 5. 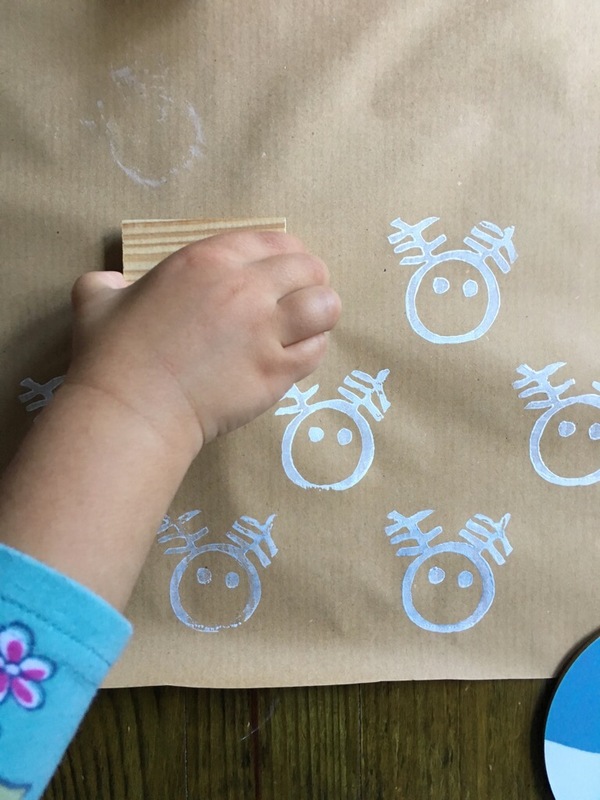 Apply a very thin layer of ink after each print for an even finish. 6. Print the red noses. We used a flat crayon dipped lightly in ink but fingertip will do too. 8. 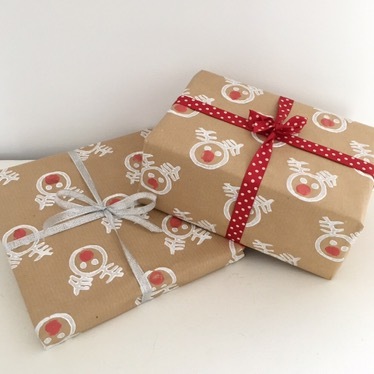 Ready to wrap gifts!